It’s easy to assume that filling your face with smoke will get you incredibly high. However, it turns out the gas mask bong may do more harmful than good. 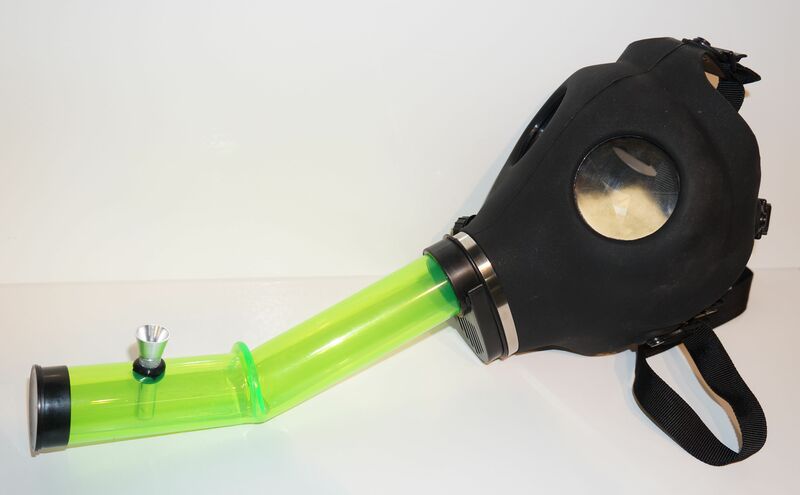 The gas mask bong is just one of several ways to get high. Some have tried it, and some wouldn’t dare. But is it really as great as people make it seem? Although it may not be totally unsafe, there are some things you should know before attempting this consumption method. Or, if you have already tried it, then you still might want to listen up. Of course, it’s easy to assume that filling your face with smoke will get you incredibly high. However, it turns out that the effects of a gas mask may be more harmful than beneficial. In case you are new to the world of inhaling cannabis through a gas mask, here is the skinny. In a nutshell, a gas mask bong is a bong attached to a gas mask that allows the user to inhale and exhale massive amounts of smokes continuously. Gas mask bongs, in particular, are indeed easy to burn. If you know how to smoke a bong, then you’ll have no trouble figuring this method out. Indeed, getting high from a gas mask bong is just as convenient as sparking a joint. Typically, they cost roughly 45 to 70 bucks. That’s cheaper than a lot of glass pieces out there, but is it worth it? As it turns out, there are quite a few reasons why your money is better spent elsewhere. First, there’s the more obvious factor: getting smoke in your eyes. Of course, a gas mask is filled with smoke upon lighting it. Therefore, the only way to avoid getting smoke in your eyes is to close them. You would think that reason alone is good enough to avoid using one altogether. However, there is a huge misconception about the gas mask that draws people to it. Aside from the risk of smoke irritating your eyes, there are other reasons why you should avoid using the gas mask bong. Not to mention, there’s one major belief about this consumption method that is entirely false. A lot of people think that the gas mask bong is a quick way to get high. On the contrary, most of the active compounds in cannabis are only absorbed upon taking your first hit. After the first inhale, you’re basically consuming nothing more than plant matter, and possibly even dust. Everything worth consuming is absorbed within the first 5-7 seconds. With this in mind, gas masking cannabis won’t increase your high. If anything, you’ll just be taking in harmful substances in higher doses, such as carbon dioxide and carbon monoxide. All in all, gas masking is like hot boxing, only in a much smaller space. Sure, it might look cool. But you’re pretty much only getting one hit, the rest is stale smoke, which will leave a nasty taste in your mouth. Finally, there’s the fact that they are a waste of money. If you want to inhale large amounts of smoke, you are better off purchasing a high-quality piece of glass. Your wallet and health will thank you later. Check out the selection of dope-looking (and inexpensive) bongs at the Herb Shop, like the Mr. Black Bong.